A great alternative to chalkboards. 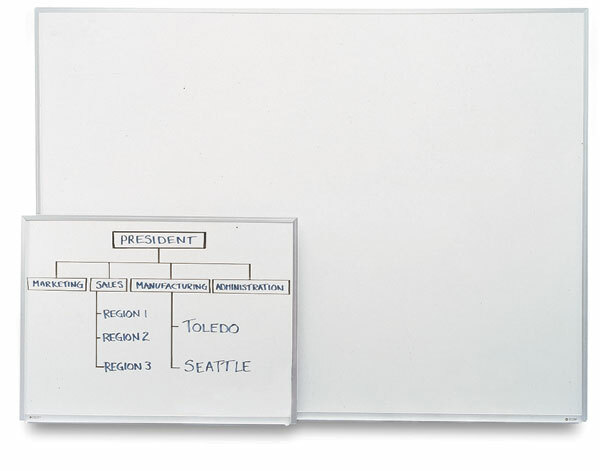 Use dry erase (erasable) markers and erase, without dust or mess, using cloth, tissue, or a felt eraser. 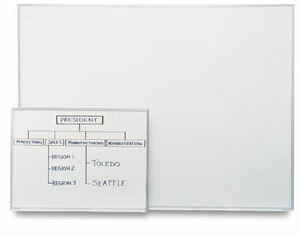 Each board includes an aluminum frame, accessory trough, four markers, an eraser, and attached hangers. The highest quality porcelain on steel markerboard. These boards hold magnets and include a 50-year surface warranty.